Americans can now hope to get safe drinking water from streams and wetlands under the law. The Barack Obama administration passed the Waters of the United States (WOTUS) rule on May 27 under the Clean Water Act, 1972. The new rule will outline over which water bodies the Environmental Protection Agency (EPA) will have jurisdiction. The order was issued by EPA and the Army Corps of Engineers. According to a Reuters report, the rule “defines and protects tributaries” that have an impact on downstream waters and focuses on streams that can carry pollution downstream, rather than ditches. 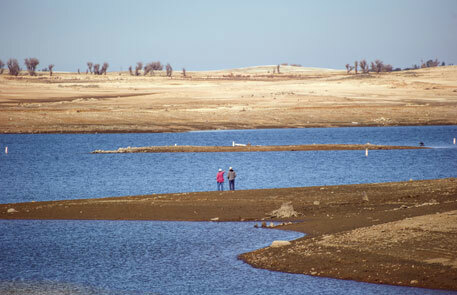 The decision follows decades of requests from members of the Congress, state and local officials, environmental and agricultural groups and scientists seeking clarity on what water bodies fall under the purview of the Clean Water Act, 1972. “This rule responds to the public’s demand for greater clarity, consistency and predictability when making jurisdictional determinations. The result will be better public service nationwide,” Jo-Ellen Darcy, assistant secretary for the Army, Civil Works, told Reuters. In a press statement, US President Barack Obama said that one in three Americans gets drinking water from streams which lack protection, while businesses and industries that depend on clean water face delay, which costs the economy. While environmentalists have welcomed the move, farmers and industry have raised concern over the high cost of regulation. Farmers also fear they could be at risk of steep fines if traces of fertiliser or manure are discharged without a permit into the water bodies that will be monitored by EPA under the new rule. The agency, however, has assured farmers that there is nothing to worry about. “We do not expect there to be any change to farming activities based on this rule,” Ken Kopocis, head of EPA’s Office of Water, told journalists soon after the order was passed. The American Farm Bureau Federation (AFBF), the largest farm lobby group in the US, is analysing the rule. “While we know that farmers and ranchers were dedicated to calling for substantial changes to the rule, we have serious concerns about whether their comments were given full consideration,” said AFBF president Bob Stallman. EPA and Army Corps has dismissed his statement, saying that they held more than 400 meetings with “stakeholders” across the country and reviewed over one million public comments.